The development of information and communication technology (ICT) and e-learning has enhanced the process of teaching and learning in Jordanian higher education institutions particularly in the Hashemite University (HU). HU is considered one of the leading universities in adopting e-learning. The attitude toward ICT and e-learning is measured to understand how ICT and e-learning would be accepted through applying the diffusion of innovation (DOI) theory. The results showed a significant relationship between students' perception of technology characteristics and their attitude towards using the technology in the educational system. In this chapter, factors influencing user acceptance and adoption of ICT in Jordan on student motivations for the acceptance of technologies necessary for the delivery of e-learning activities are being handled. Technology education is becoming vastly more popular in developing nations which seek economic improvement. It is becoming internationalized at an increasing rate as firms recognize the need to prepare IT professionals for the global environment. This is happened because of the explosive growth of information communication technology (ICT) that provide electronic services to business and education (Stafford et al., 2012). The role of applying ICT in developing countries who have the least technologically-enabled economies in the world. Regrettably, little research has been made to examine ICT diffusion process in emerging economies, particularly those of the Middle East (Stafford et al., 2012; Khasawneh & Stafford, 2008). This is a dilemma because half of the world lives in developing and emerging economies. In Middle East countries, opportunities for research and practice abound as the developing nations in the Middle East begin to explore technology and telecommunications connectivity as an economic lever for national prosperity (Al-Jaghououb & Westrup, 2003; Stafford et al., 2012). Many universities are investing in E-learning systems. A variety of these universities are driven by an enormous increase in the global demand for higher education, which facilitates the learning activities. Recently, Middle East nations have started ICT within higher education institutions to provide E-learning to improve the structure and scope of education in universities (Khasawneh, 2008). It is widely accepted that advances in technology and new developments in educational science provides opportunities to create well-designed, student-centered and facilitated e-learning environments (Chawla & Joshi, 2012). Oliver (2005) pointed out many projects such as the UK e-University, NYU online, Scottish Knowledge, which all developed e-learning applications, that failed to realize their aims and goals, leading many to question the quality and effectiveness of this form of education. Therefore, it is important to identify the factors influencing user acceptance and adoption of information and communication technologies in these economies, so that user groups can be identified and better served (Khasawneh, 2008; Negash, 2007). 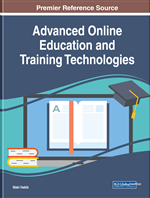 This chapter provides a guidance on student motivations for the acceptance of ancillary technologies necessary for the delivery of E-learning processes and examines success factors for technology-supported technology education with an eye toward determining likely success factors for implementations in Jordan.